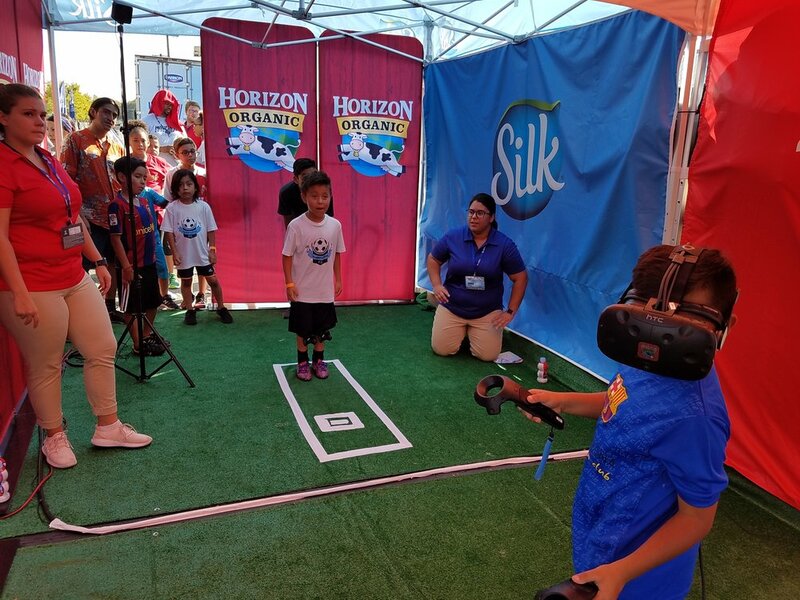 Our VR tent setup at the arena! The Danone Nations Cup is the world's largest youth soccer tournament for children between the ages of 10 to 12. 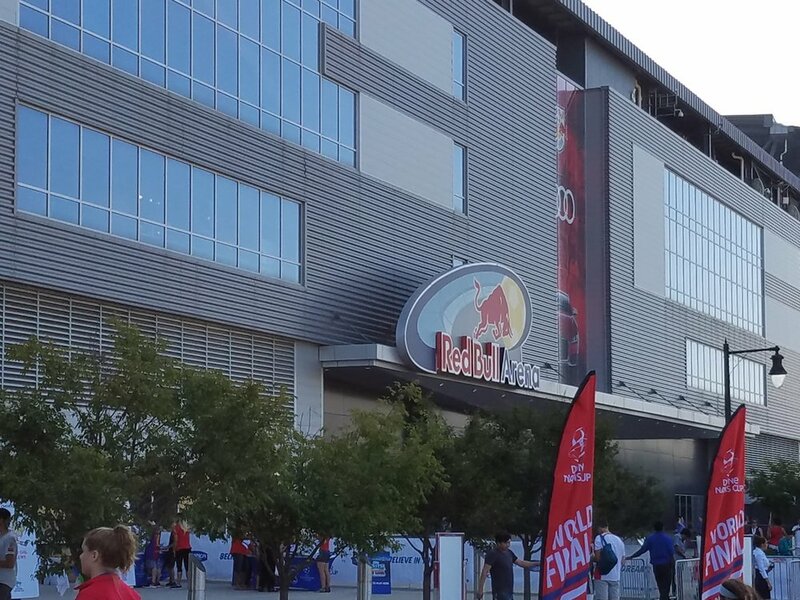 For the inaugural year in the USA, Gate Reality produced a Virtual Reality soccer game for the event at the Red Bull Arena. 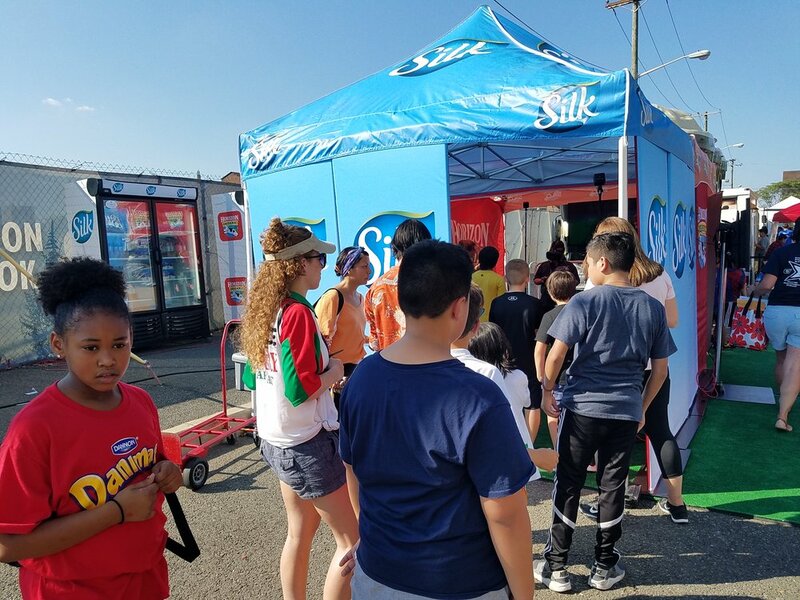 The activation made the Danone tent the popular attraction of the day. Shoot Equipment: HTC Vive with Lighthouse and Body Trackers. 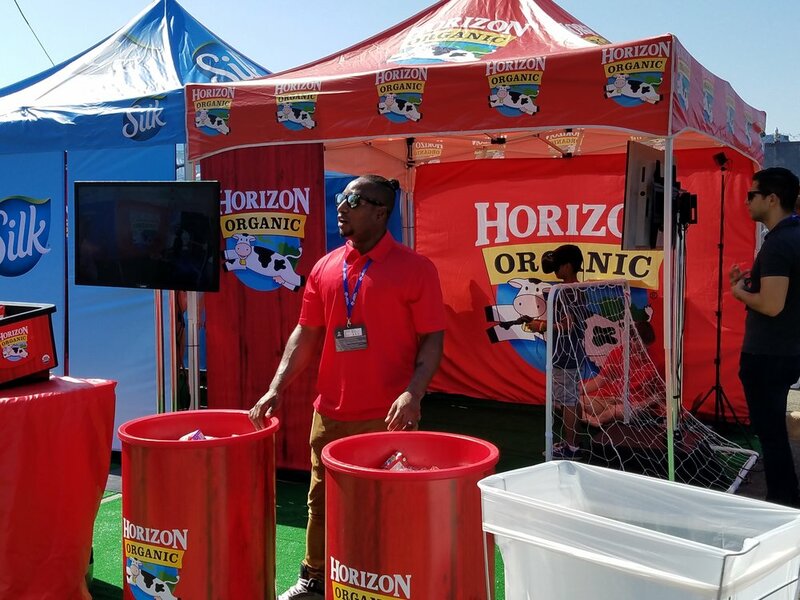 A few weeks before the Danone Nations Cup, we were presented with an opportunity to provide relevant content for headset viewing in their media activation tent. Instead of loosely related material, we proposed to create a fun, crowd-pleasing interactive game for guests to enjoy! Designed as a two-player penalty shoot-out, it allowed for two participants in each game. Best out of five rounds determined the winner. 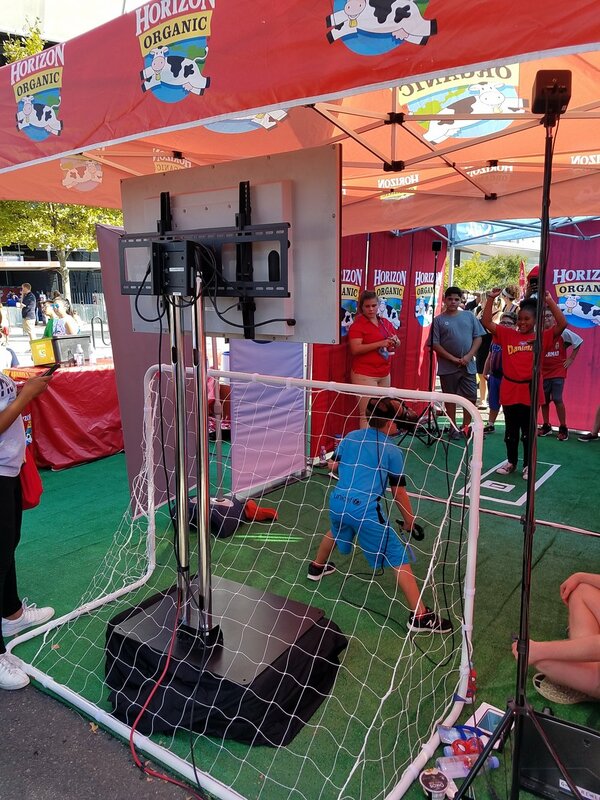 The goalkeeper wore the HTC Vive Headset and used the controllers to try to block each penalty, while the striker wore trackers strapped to his or her ankles to kick the virtual ball. The trackers were able to accurately detect the direction and velocity of each kick. The 3D assets of the game were conceptualized and developed in house to customize the colors to the sponsoring brands and keep a cohesive low-poly look. 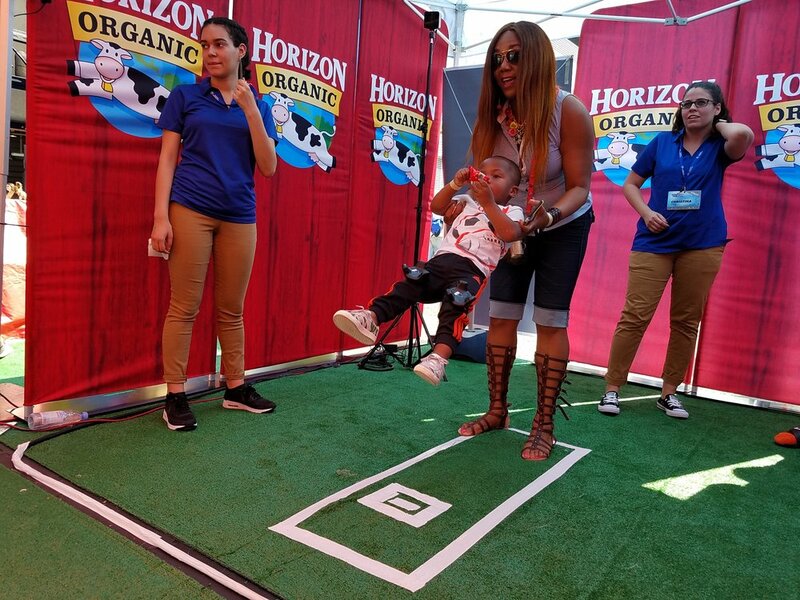 This was a super fun day watching so many kids enjoying themselves and hearing so many initial "Wow! "s and gasps at their first VR experience. 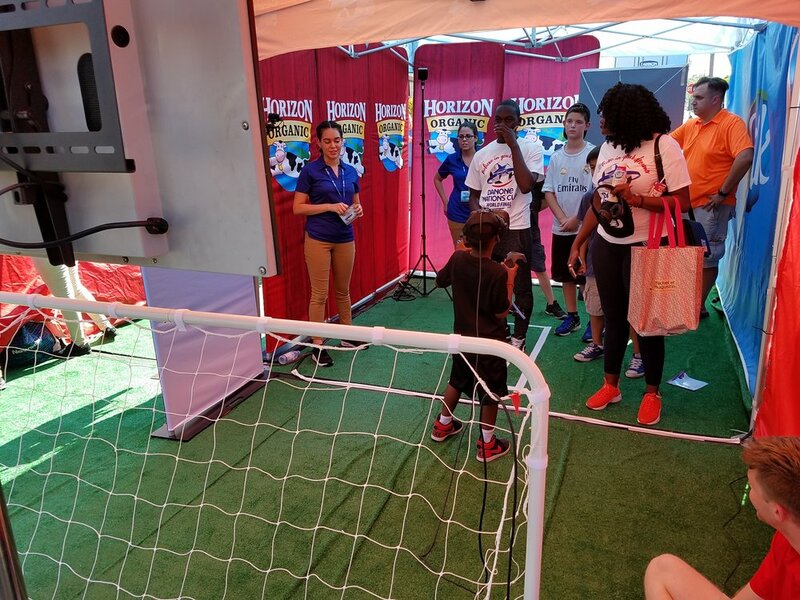 It was also very entertaining to watch kids as young as three and four to try on a adult-sized headset for the first time. Perhaps a glimpse into the future!